BOOK BLOGGER HOP 5/27-5/30: Going to the movies! Hurray! Friday again! Time for the Book Blogger Hop. 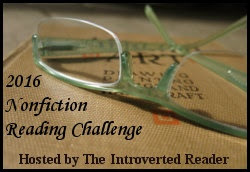 A chance to connect with other book bloggers and share the love of reading and blogging. Hosted by Crazy for Books, it's also a great way to find new books to read -- or in today's case, new movies to add to your Netflix queue. 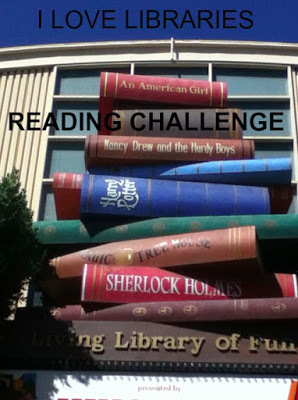 "What book-to-movie adaptation have you most liked? Which have you disliked?" The movie that immediately springs to my mind is Gone With the Wind. I saw the movie when I was in my young teens, before reading the book. What pageantry! What romance! I immediately got hold of the book. The book is richer and more complex than the movie. Even more of an epic. And of course, the movie had to leave some things out. But considering how big the book is, I think the movie does do a good job of capturing it. I don't watch movies very often (as may be obvious by the age of my "like"--but, just for the record, GWTW was already a classic by the time I saw it-- I'm not that old) so I don't really have a dislike. The closest I can think of is the BBC's adaptation of Pride and Prejudice. It's multiple episodes. I started to watch the first one with my daughter after reading the book. It just seemed flat and slow. We couldn't get into it so we gave up. There are two adaptations I'm looking forward to though-- The Help and Hunger Games. WAIT!! I remembered another adaptation that I loved that is actually from this millenium. Winter's Bone. The movie is incredible. It didn't spring to mind at first because I forgot it was an adaptation. (I haven't read the book.) I remembered because the Hunger Games actress, Jennifer Lawrence, was the star of Winter's Bone. 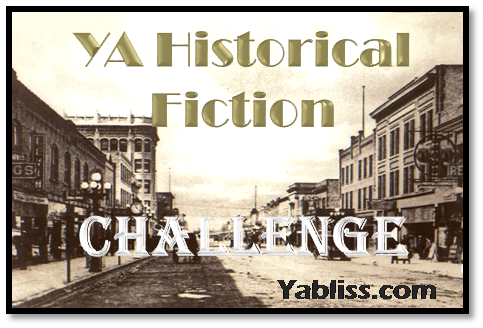 Historical Fiction Fans Check out Passages to the Past for a Guest Post and Giveaway! 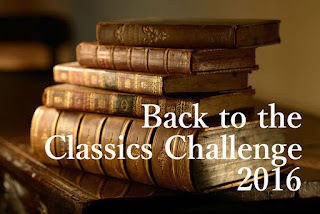 Passages to the Past: Guest Post by C.W. Gortner + GIVEAWAY: The Confes...: "As a stop on the virtual book tour for C.W. 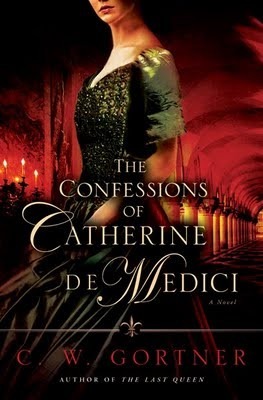 Gortner 's paperback release of The Confessions of Catherine de Medici , I have for you a guest..."
Knowing my love for epistolary novels, a couple of people have suggested 84, Charing Cross Road by Helene Hanff. It’s not a novel, but a collection of letters that tells a story so delightfully it reads like one. 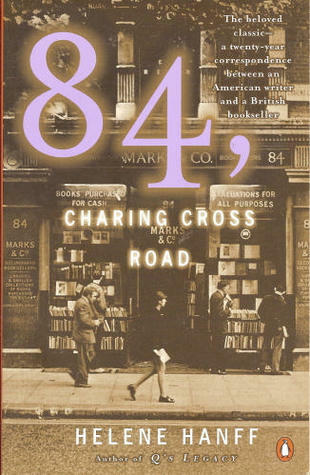 Between October 1949 and January 1969, Helene Hanff, a writer in New York carried on a correspondence with the employees at a used book shop in London at 84, Charing Cross. Her primary contact was Frank Doel, but over time her letters inspired responses from other workers in the shop, Frank’s wife, and even a neighbor. Helene and Frank bonded over their appreciation of books, but a shared sense of humor moved the relationship beyond business to personal. The letters are a joy to read. Helene’s are bold. It takes Frank a little longer to come out of his shell. Although they never meet, you can get a sense of how much they value one another. The book shows Helene’s personality best because she is the most open, sharing little tidbits of her personal and professional life as she requests new books and praises or complains about the ones she has received. But we are also treated to sidelong views of the booksellers, some of whom move away or pass away during the course of twenty years. It’s amazing how well they portray themselves in so few words. Lives are encapsulated in snapshots. What I like best about the book is how uplifting it is. These are normal people going about their normal lives and they are open-hearted, trusting, generous, compassionate, grateful, kind, and friendly. What starts out as a commercial transaction – a woman writing an open-ended letter to a used bookseller – blossoms into a twenty-year friendship. It’s pleasant to catch a glimpse of a world in which people are inherently good. I need a little of that every once in awhile. This is my first Waiting on -Wednesday post. "Waiting On" Wednesday is a weekly event, hosted by Jill at Breaking the Spine, that spotlights upcoming releases that we're eagerly anticipating. Sometimes I get book recommendations in unexpected ways. I never used to catch the NPR book reviews, but now, every once in awhile, I'm in the car when they're on. Several books have grabbed my attention. I can't read them all, but there are a few that stick in my brain and even though they aren't my usual fare I feel compelled to read them. The first book that NPR introduced me to (one I never would have picked up otherwise) was Cristina Garcia's The Lady Matador's Hotel. I loved the writing. And now, the author has a new release coming out in July. It's YA, and it sounds fantastic. Brought together each summer at a boarding school in Switzerland, three girls learn a lot more than just French and European culture. Shirin, an Iranian princess; Ingrid, a German-Canadian eccentric; and Vivien, a Cuban-Jewish New Yorker culinary phenom, are thrown into eachother's lives when they become roommates. This is a story of 3 paths slowly beginning to cross and merge as they spend the year apart, but the summers together. Through navigating the social-cultural shoals of the school, developing their adolescence, and learning the confusing and conflicting legacies of their families' past, Shirin, Ingrid, and Vivien form an unbreakable bond. 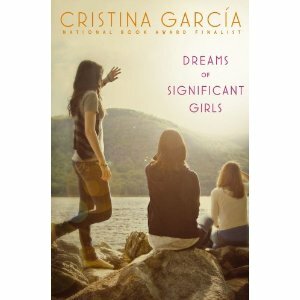 Like The Sisterhood of the Traveling Pants, this story takes readers on a journey into the lives of very different girls and the bonds that keep them friends. I loved this book. The Secret Confessions of Anne Shakespeare by Arliss Ryan is an entirely different life-of-Shakespeare seen from the eyes of the woman who should know him best—his abandoned wife. I bought this book months ago because I liked the premise. Shakespeare’s little known wife? Intriguing. But after I bought it, it languished on my shelf. It became one of those books I figured I’d get to but wasn’t on fire to read. Then, once I started, I couldn’t put it down. Very little is known about the actual Anne Shakespeare, but that hasn’t stopped scholars from concluding she was a mere bump in the road for the bard. He was only eighteen when he wed; she was several years older and pregnant. They had three children together. Nevertheless, he abandoned her for fame and fortune in London. Clearly, the marriage was a mistake. In Arliss Ryan’s The Secret Confessions of Anne Shakespeare, Anne refuses to play the role of cast-off wife. Told in a first person voice, the reader gets a chance to know Anne before she meets and falls in love with Will Shakespeare. Her eyes are wide open. She sees his faults as clearly as his strengths. Ryan paints a surprisingly realistic picture of a romance that is not particularly romantic. There is much to admire in Will, but it’s not his capacity to be a husband and father. Will does escape to London, hoping to become an actor. For a time, Anne is the cast-off wife. But she continues to live a life of her own. She refuses to be defined as a just a wife, and an unloved one at that. She is beautiful, intelligent and strong willed. When the circumstances are right, she also leaves Stratford for London. Despite a difficult start, Anne is even more in her element in London than Will. Their marriage may not quite be a marriage, but it is a partnership, a secret collaboration. Together, they become the Shakespeare that has endured. The storyline is richly detailed and emotionally complex. Anne has to compromise quite a bit to put up with Will, but she never surrenders. She is able to build her own life around that of her husband. They complement each other, contributing to a greater success. Anne’s drive-by analysis of each of the plays in the Shakespeare canon alone is worth the price of admission. Some she claims are her best work. Others, collaborations, they struggle over, and we get to watch the plays come together. Finally, there are those she simply dismisses as bad plays. This is a delightful book. Although I recognize it as a complete fiction, while immersed in the book I was in another world. Nothing jarred. I was willing to believe. And I fear I’ll never quite look at Shakespeare in the same way. 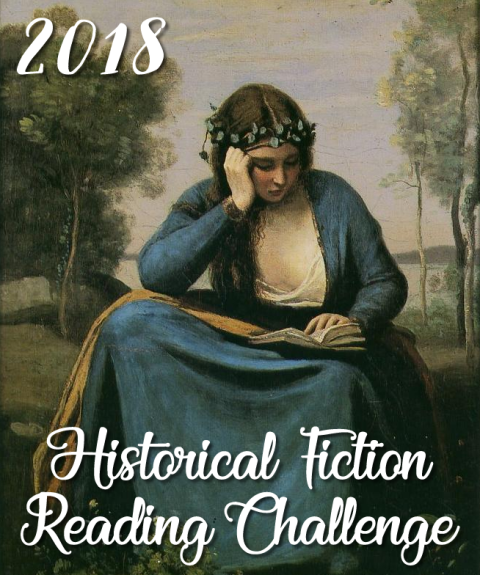 If you are a historical fiction fan, have a look at the historical fiction challenge hosted by Historical Tapestry for some great book recommendations or to sign up! Friday the 13th Book Blogger Hop! Hurray for Friday! It's time for the hop. Head on over to Crazy for Books to join in the fun, meet other book bloggers, make new friends, and share the love of books. "Are you going to Book Expo America (BEA) and/or the Book Blogger Convention (BBC) this year?" No, not this year. One of these years, I'll do it, but there are just too many commitments to squeeze another one in. 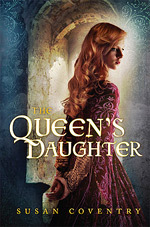 In June, I'm going to the Historical Novel Society 2011 conference in San Diego. (I'll be a panelist!) The registration deadline is May 22, and I think there are still spots available. If there are any historical fiction fans out there, this conference is awesome. Still, I've heard so many great things about BEA and BBC. I'll have to read the reports and dream of going someday. To all those who are going -- HAVE FUN! One of my heroes when I was young was Florence Nightingale (along with Clara Barton.) I was fascinated with biographies of these women who devoted their lives to medicine, to nursing, when the profession was emerging into its modern form. When I heard about Susanne Dunlap’s new book, In the Shadow of the Lamp, I knew I had to read it. Set in 1854, the story follows Molly, a seventeen-year-old housekeeper who loses her position through the trickery of one of the other maids. Desperate for work, she is excited to hear that Florence Nightingale is looking to hire nurses to take to the Crimea to care for British soldiers. Molly's gift of compassion makes her a born nurse. But Molly isn’t hired. She’s too young, too pretty, and has no hospital nursing experience. Nevertheless, she manages to stowaway on the boat carrying the other nurses. After she is discovered, Miss Nightingale agrees to give her a chance. Although fraternization with the soldiers is strictly forbidden, Molly nevertheless succumbs to the temptation. In fact, she is torn between two men. One is the boy who has loved her and aided her since she was a disgraced housemaid. He has joined the army and followed her to the Crimea. With Will, she feels safety and comfort. The other is a surgeon who teaches and challenges her. Dr. Maclean offers excitement and romance. But Molly has to tread carefully. She can’t risk being sent home—Miss Nightingale’s rule are very strict. And it is wartime. The men she loves are in constant danger. The book does a nice job illustrating the horrible conditions of the hospitals and demonstrates Nightingale’s strengths as a wartime nursing administrator. Molly is a delightful protagonist, growing in confidence and competence as the story progresses. She has a knack for making herself useful at the right time and place. She idolizes Miss Nightingale, but is independent minded enough to break the rules when they need breaking. 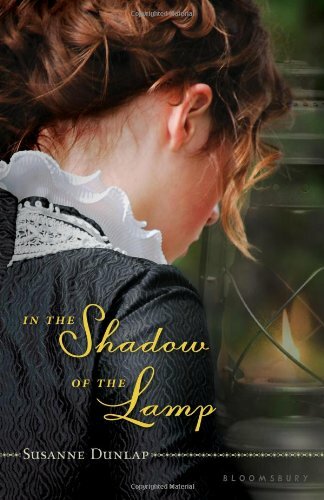 In the Shadow of the Lamp is an enjoyable young adult historical, well paced, with interesting period detail. Although there was not much historical context regarding the war, it was a nice introduction to a time period I don’t generally think too much about. And I was very pleased to be reintroduced to a heroine from my youth. I read this for the YA historical fiction challenge. Go to YA Bliss to see what the challenge is all about. No time to hop this week :( And I've been remiss on posting new reviews. Things have been crazy. I spent last weekend and beginning of the week in Philly at a medical convention --the American Transplant Congress. A fantastic meeting. My head is still spinning. And it was fun to see Philly again, even though I didn't stray from the few blocks surrounding the convention center. I'm home now, swamped at work, but we're gearing up for The Kentucky Derby! There's nothing like Louisville at Derby time. I did get some reading done while traveling. My next review will be Susanne Dunlap's In the Shadow of the Lamp. Stay tuned!